The upcoming holiday season can leave eager food lovers at a loose end. During December and into early 2018, many of Sydney's favourite dining destinations alter their opening hours and their menus. Unless the venues below are listed as closed, then they will be open as usual during the holiday period. Open for lunch on Christmas Day: Munich Brauhaus, The Pavilion on the Domain, The Calyx, Sotto Sopra, Ormeggio at The Spit, Bistro Guillaume, Jade Temple, Fratelli Fresh (Alexandria, Potts Point, Walsh Bay and Crows Nest), Lowenbrau Keller, Glebe Point Diner, Jonah's, LuMi Bar & Dining, Pilu and Quay. Open on New Year's Day: The Argyle, Aria, Banksii, The Bathers' Pavilion, Chiswick (at The Gallery and Woollahra), Cirrus, Clareville Kiosk, CUT Bar & Grill (dinner only), Dolphin Hotel (The Pub only), El Camino Cantina, Fratelli Fresh (all locations), Lotus (Barangaroo), Jonah's (for lunch and dinner only), Monopole, Munich Brauhaus, N2, Yellow, Three Blue Ducks (Bronte), Rockpool Bar & Grill, Rosetta, Ume Burger, Otto, Ormeggio (lunch only), Paddo Inn. ACME, 60 Bayswater Road, Rushcutters Bay, 0435 940 884, weareacme.com.au. Closed December 25, 26, 31 and January 1. The Apollo, 44 Macleay Street, Potts Point, 02 8354 0888, theapollo.com.au. Closed December 25, 26, 31 and January 1. They' open for lunch from Wednesday to Sunday starting December 6, and open earlier from 5.30pm from December 27 to 30. The Argyle, 18 Argyle Street, The Rocks, 02 9247 5500, theargylerocks.com. Closed December 25. Tickets are available for a three-hour food and drink package from 6-9pm on New Year's Eve. Aria, 1 Macquarie Street, East Circular Quay, 02 9240 2255, ariarestaurant.com/sydney. Closed December 25 and 26. They are offering a ticketed event for New Year's Eve. A Tavola, 348 Victoria Street, Darlinghurst, 02 9331 7871, atavola.com.au. Closed December 24 to 26, 31 and January 1. A Tavola in Bondi is just closed on Christmas Day. Automata, 5 Kensington Street, Chippendale, 02 8277 8555, automata.com.au. Closed December 24 to 26 and from December 31 to January 3. Closed for lunch only on December 27. Open for lunch in December from Wednesday to Saturday. Banksii, 33 Barangaroo Avenue, Barangaroo, 02 8072 7037, banksii.sydney. Closed December 24 and 25. They are offering a set menu for New Year's Eve. 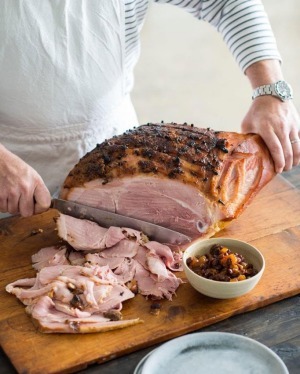 This whoppa ham is on the festive season menu at No. 1 Bent Street. Photo: Supplied. Bart Jr., 92 Pitt Street, Redfern, 0402 547 134, bartjr.com.au. Closed December 23 to January 10. Bar Ume, 478 Bourke Street, Surry Hills, 02 9380 7333, umeburger.com/surryhills. Closed December 25 to January 3. The Bathers' Pavilion 4 The Esplanade, Balmoral, 02 9968 3348, www.batherspavilion.com.au. There will be a special Christmas Day menu. Bennelong, Sydney Opera House, Bennelong Point, 02 9240 8000, bennelong.com.au. Closed December 25 and 26 and January 1 and 2. Open December 31 for dinner only. Bentley, 27 O'Connell Street, Sydney, 02 8214 0505, thebentley.com.au. Closed December 24 to 26. Closed January 1 but otherwise open from December 27 to January 14 for dinner only. Billy Kwong, 28 Macleay Street, Potts Point, 02 9332 3300, billykwong.com.au. Closed December 25 and 26 and January 1. Bistro Guillaume, 259 George Street, Sydney, 02 8622 9555, bistroguillaumesydney.com.au. Open for Christmas Day lunch for $175pp, including a salad of king prawns, maple glazed Berkshire leg ham, confit Atlantic salmon, roasted duck breast and Peach Melba. Closed December 26, 31 and January 1. Botanic Gardens Restaurant, Mrs Macquaries Rd, Sydney, 1300 558 980, www.botanicrestaurant.com.au. Closed December 25, 31 and January 1. Opening hours are modified to 12-3pm from December 26 to 29. They offer Christmas event cocktail and dining packages. Chiswick, 65 Ocean Street, Woollahra, 02 8388 8688, chicswickrestaurant.com.au. Closed December 25. Chiswick at The Gallery is also closed on December 25. Cho Cho San, 73 Macleay Street, Potts Point, 02 9331 6601, chochosan.com.au. Closed December 25, 26, 31 and January 1. They are opening for lunch between December 13-17 and 20-24. They will also have a special Christmas menu from December 1 for groups of four or more ($110pp), including a T-bone steak, oysters, potato scallop, summer pavlova and more. Cirrus, 23 Barangaroo Avenue, Barangaroo, 02 9220 0111, cirrusdining.com.au. Closed December 25 and 26. Clareville Kiosk, 27 Delecta Avenue, Clareville Beach, 02 9918 2727, clarevillekiosk.com.au. Closed December 24 to 28. CUT Bar & Grill, 16 Argyle Street, The Rocks, 02 9259 5695, cutbarandgrill.com. Closed December 25. Open for dinner only on December 26 and January 1. Devon Cafe, 76 Devonshire Street, Surry Hills, 02 9211 8777, devoncafe.com.au. Closed December 25, 26 and January 1. 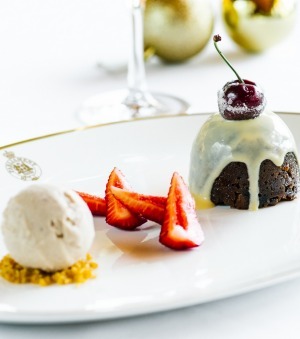 Their Barangaroo location is offering a Christmas lunch menu throughout the Christmas period. Dolphin Hotel, 412 Crown Street, Surry Hills, 02 9331 4800, dolphinhotel.com.au. Closed December 25 and January 1. On December 26 The Pub is open, but the Dining Room & Wine Room are closed. El Camino Cantina, 18 Argyle Street, The Rocks, elcaminocantina.com.au. Closed December 25. They're taking bookings for Christmas parties. From November 24 to December 18, they're rocking a Jose Cuervo Margarita cart (featuring tequilas, margaritas, tequila jello shots and margarita popsicles!). On Christmas eve there's a bottomless brunch from $15 per person, and a $19 one-hour bottomless drinks package. Kids under 12 (with a paying adult) eat free. They will also be offering set food and drinks menu for $199pp on New Year's Eve. Ester, 46-52 Meagher Street, Chippendale, 02 8068 8279, ester-restaurant.com.au. Closed December 24 to January 3. Ester will be open on Fridays for lunch on December 8, 15 and 22. ﻿Felix, 2 Ash Street, Sydney, 02 9114 7303, merivale.com.au/felix. Closed December 25, 31 and January 1. Firedoor, 23-33 Mary Street, Surry Hills, 02 8204 0800, firedoor.com.au. Closed December 25, 26, 31 and January 1 and 2. Flour Eggs Water, 1 Dalgal Way, Forest Lodge, 02 9552 1343, floureggswater.com.au. Closed December 25 and 26, and January 1. Their Surry Hills restaurant is closed December 24 to 26, 31 and January 1. Most locations are closed on December 25, but Alexandria, Crow's Nest, Potts Point, Walsh Bay are open. 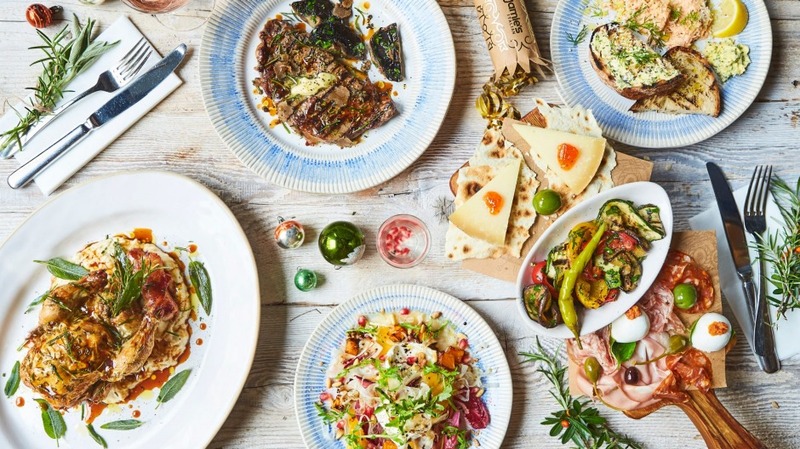 Their Christmas lunch menu for $70pp includes antipasti boards, oysters, roasted lamb shoulder with summer vegetables and salsa verde, and panettone with house-made ice-cream. Fratelli Fresh are also accepting bookings for Christmas events. They are also offering The Fratelli Pass, which includes 31 meals for the 31 days of January for $200. Fratelli Paradiso, 12-16 Challis Avenue, Potts Point, 02 9357 1744, fratelliparadiso.com. Closed December 25, 26 and January 1. Fred's, 380 Oxford Street, Paddington, 02 9114 7331, merivale.com.au/freds. Closed December 25, 26 and January 1. Open for lunch on Tuesday to Sunday during December until Christmas. Glebe Point Diner, 407 Glebe Point Road, Glebe, 02 9660 2646, glebepointdiner.com.au. Open on Christmas Day for lunch only, with three courses (with three choices) and beverages for $260. Closed December 26 to 28 and January 1. Hartsyard, 33 Enmore Road, Enmore, 02 8068 1473, hartsyard.com.au. Closed over the Christmas period, including December 24 to January 1. INDU, 350 George Street, Sydney, 02 9223 0158, www.indudining.com.au. Closed December 24 to 26, 31 and January 1. Izakaya Fujiyama, 38-52 Waterloo Street, Surry Hills, 02 9698 2797, izakayafujiyama.com. Closed December 24 to January 1. Jade Temple, 11 Bridge Street, Sydney, 02 9252 1888, jadetemple.com.au. Closed December 25. Open for dinner only on both December 26 and January 1. Jamie's Italian, 107 Pitt Street, Sydney, 02 8240 9000, jamieoliver.com. Closed December 25, 26 and January 1. Over the Christmas period they are offering a Christmas feast menu. Jonah's, 69 Bynya Road, Whale Beach, 02 9974 5599, jonahs.com.au. Open throughout the holiday period, but not open for breakfast on December 25, 26 and January 1. Check out their Christmas Day menu. For New Year's Eve there's a four course dinner for $245pp. Keepos & Co, Shop 5, 18 Danks Street, Waterloo, keeposandco.com.au. Closed December 24 to 26 and January 1. Keepos Street Kitchen, 96 Kepos Street, Redfern, keeposstreetkitchen.com.au. Closed December 25 and 26, and January 1. Kensington Street Social, 3 Kensington Street, Chippendale, 02 8277 8533, kensingtonstreetsocial.com. Open for breakfast and lunch only from December 24 to 26 and on January 1. They're hosting an exotic seafood set dinner menu for New Year's Eve. Kid Kyoto, 17-19 Bridge Street, Sydney, 02 9241 1991, kidkyoto.com.au. Long Chim, Corner of Pitt Street & Angel Place, Sydney, 02 9223 7999, longchimsydney.com. Longrain, 85 Commonwealth Street, Surry Hills, 02 9280 2888, longrain.com/sydney. Lotus Barangaroo, Shop 8/9 Wulugul Walk, Barangaroo, 02 8318 3688, lotusdining.com.au. Lotus Dumpling Bar, Shop 3/16 Hickson Road, Dawes Point, 02 9251 8328, lotusdining.com.au. Closed December 25 to January 7. Serving dinner only from January 8 to 14. LP's Quality Meats Suite 1, 12-16 Chippen Street, Chippendale, 02 8399 0929, lpsqualitymeats.com. Closed December 24 to January 2. LuMi Bar & Dining, 56 Pirrama Rd, Pyrmont, 02 9571 1999, lumidining.com. Open on Christmas Day for lunch with a 7 course menu for $265pp. There's a New Year's Eve 7 course menu for $400pp including matching wine. Closed December 26 and January 1 to 4. ​Mary's Newtown, 6 Mary Street, Newtown, getfat.com.au. Closed December 24 to 26, and January 1. Mercado, 4 Ash Street, Sydney, 02 9221 6444, mercadorestaurant.com.au. Mjolner, 267 Cleveland Street, 0422 263 226, mjolner.com.au. ​Monopole, 71A Macleay Street, Potts Point, 02 9360 4410, monopolesydney.com.au. Mr Liquor's Dirty Italian Disco, 1 High Street, Mascot, 02 9114 7345, merivale.com.au/mrliquorsdirtyitaliandisco. Mr Wong, 3 Bridge Lane, Sydney, 02 9114 7317, merivale.com.au/mrwong. Ms G's, 155 Victoria Street, Potts Point, 02 9114 7342, merivale.com.au/msgs. Closed December 25, 26 and January 1. Open until 3pm on December 31. Munich Brauhaus, Cnr Playfield & Argyle Street, The Rocks, 02 9247 7785, munichbrauhaus.com. Open throughout the Christmas break. Check out their Christmas set menu. 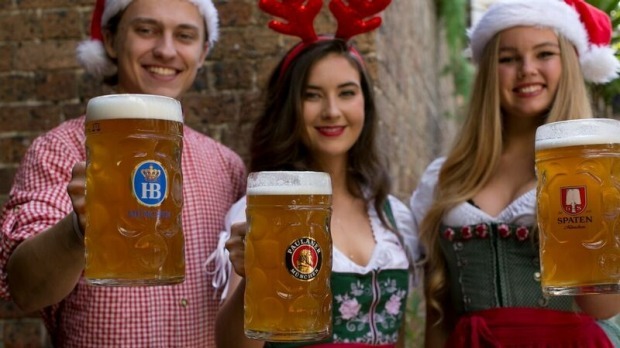 On Sundays in December kids under 12 eat free (with a paying adult), and on December 16 there's a Big Bavarian Christmas party. NOLA Smokehouse and Bar, Level 1, Tower 1/100 Barangaroo Avenue, Sydney, 02 9188 3039, nolasydney.com. Closed December 25 to 30 and January 1. Open December 24 11.45am-6pm and December 31 5pm-2am. No. 1 Bent Street, 1 Bent Street, Sydney, 02 9252 5550, onebentstreet.com.au. Closed December 24 to 26 and from December 31 to January 14. 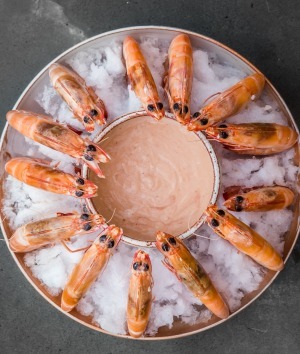 Mike McEnearney is currently offering a festive menu until December 23, including treacle-cured ocean trout, glazed ham with Cumberland sauce and Christmas pudding with custard and brandy butter. NSW Parliamentary Catering, 6 Macquarie Street, Sydney, 02 9230 2111, parliamentarycatering.com.au. Closed December 25. On weekdays until December 22 they've got a pop-up Yuletide restaurant serving up Christmas lunches. 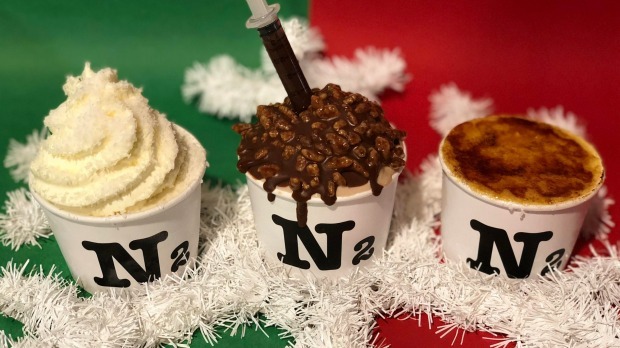 N2 Extreme Gelato, Shop 43/1 Dixon Street, Sydney, n2extremegelato.com.au. Open 1-6pm on December 24 and closed December 25. Paddo Inn, 338 Oxford Street, Paddington, 02 9380 5913, paddoinn.com.au. Closed December 25 and closing at 11pm on December 31. Consider booking your office Christmas party with a Paddo long lunch. ﻿Papi Chulo, Manly Wharf, 22-23 East Esplanade, Manly, 02 9114 7341, merivale.com.au/papichulo. Pilu, Moore Road, Freshwater, 02 9938 3331, pilu.com.au. Open for two lunch sittings on Christmas Day for $250pp. Closed December 26 and January 1. Porteno, 50 Holt Street, Surry Hills, 02 8399 1440, porteno.com.au. Ormeggio, D'Albora Marinas The Spit, Spit Road, Mosman, 02 9969 4088, ormeggio.com.au. Open for Christmas Day lunch (sold out). Closed December 26. Open for lunch only on January 1. Otto Sydney, Area 8, 6 Cowper Wharf Road, Woolloomooloo, 02 9368 7488, ottoristorante.com.au. Restaurant Hubert, Basement, 15 Bligh Street, Sydney, 02 9232 0881, restauranthubert.com. Saint Peter, 362 Oxford Street, Paddington, 02 8937 2530, saintpeter.com.au. Closed December 25 to January 8. 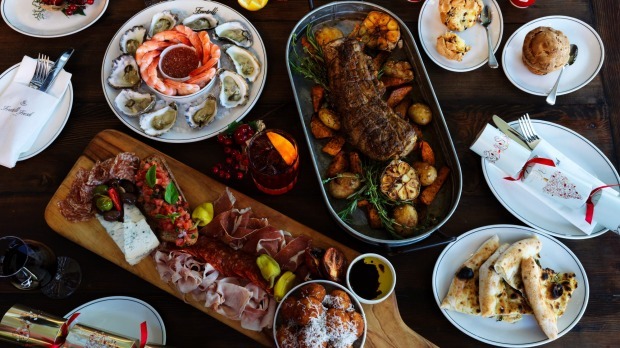 They're putting on a special Christmas Eve brunch with a five-course sharing menu for $95pp and a dinner with a choice of 3 courses for $95pp. Shenkin, 290 Crown St, Darlinghurst, 02 9357 7495, cafeshenkin.com.au. Closed December 25 and January 1. Closing early on December 31 at 2pm. Book your group in for one of Shenkin's Christmas lunch packages in December. Shenkin also has stores in Erskineville, Randwick, Enmore, Newtown and (soon) Balmain. ​Sixpenny, 83 Percival Road, Stanmore, 02 9572 6666, sixpenny.com.au. Closed December 24 to January 10. Sotto Sopra, G04 The Palms, 316-324 Barrenjoey Road, Newport, 02 9997 7009, sottosopra.com.au. Open for lunch only on Christmas Day, offering a set menu of four courses for $149pp. Three Blue Ducks, 141-143 Macpherson Street, Bronte, 02 9389 0010, threeblueducks.com. Closed December 25 to 27 and open for lunch only on December 28 and 29. Their Rosebery venue is closed on December 25, 26 and January 1. Three Williams, 613A Elizabeth Street, Redfern, 02 9698 1111, threewilliamscafe.com. Toko, 490 Crown Street, Surry Hills, 02 9357 6100, toko-sydney.com. Closed December 24, 25, 31 and January 1. Open December 26 for dinner only. Tokonoma, 44 Bridge Street, Sydney, 02 9251 8185, tokonoma-sydney.com. Closed December 24 to 1 January. Ume Burger, 33 Barangaroo Avenue, Barangaroo, 0481 951 920, umeburger.com. Closed December 25 and closed for dinner on December 31. Quay, Upper Level, Overseas Passenger Terminal, The Rocks, 02 9241 4565, quay.com.au. Open for lunch only on Christmas Day. Closed December 26, 27 and January 1. December 28 to 31 open for dinner only at $200pp. Queen Chow, 2/167 Enmore Road, Enmore, 02 9114 7333, merivale.com.au/queenchow. Closed December 25. Open for dinner only on December 31. Rockpool Bar & Grill, 66 Hunter Street, Sydney, 02 8078 1900, rockpoolbarandgrill.com.au. Rosetta, 118 Harrington Street, Sydney, 02 8099 7089, rosettarestaurant.com.au. Closed December 25. Open for dinner only on December 26 and from 5pm on January 1. Yellow, 57 Macleay Street, Potts Point, 02 9332 2344, yellowsydney.com.au. Open for lunch on Fridays in December. Closed December 25 and 26. 10 William Street, 10 William Street, Paddington, 02 9360 3310, 10williamst.com.au. Closed December 24 to January 3.